Postdoctoral fellow Lukas Kohl, graduate student Meng Meng and undergraduate Cynthia Jing vacuumed up dust from more than 60 homes in Fort McMurray and neighbouring Fort McKay, looking for evidence of residual fire ash. 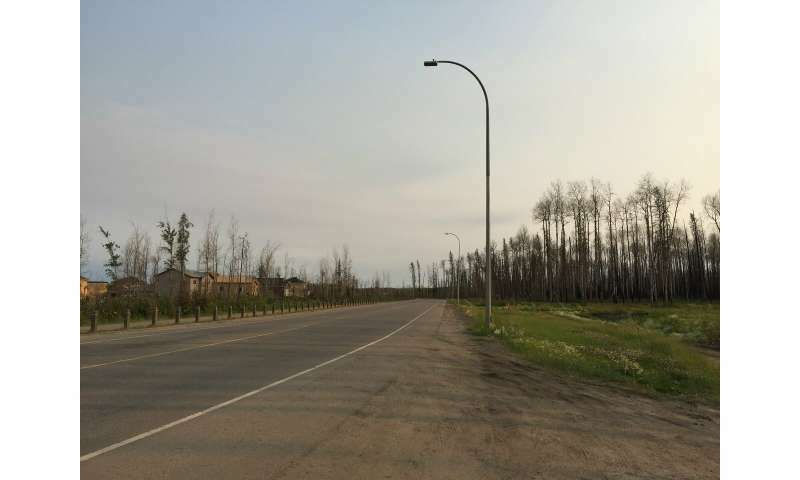 To ensure representative coverage, the team chose neighbourhoods that suffered significant damage—where re-entry was delayed—as well as neighbourhoods less affected by the wildfire. "That was the surprise—that even after this fire, we actually didn't see higher levels of contaminants," says Chan. "The levels we saw were not terribly high. If we compare them to health guidelines—what is considered to be a health risk for soils—the results from samples we collected in the homes were generally lower." Still some of the most spectacularly apocalyptic video that isn't from a movie. I watched one of my former neighbourhoods go up in flames online. Yes, it was unusually hot and dry.